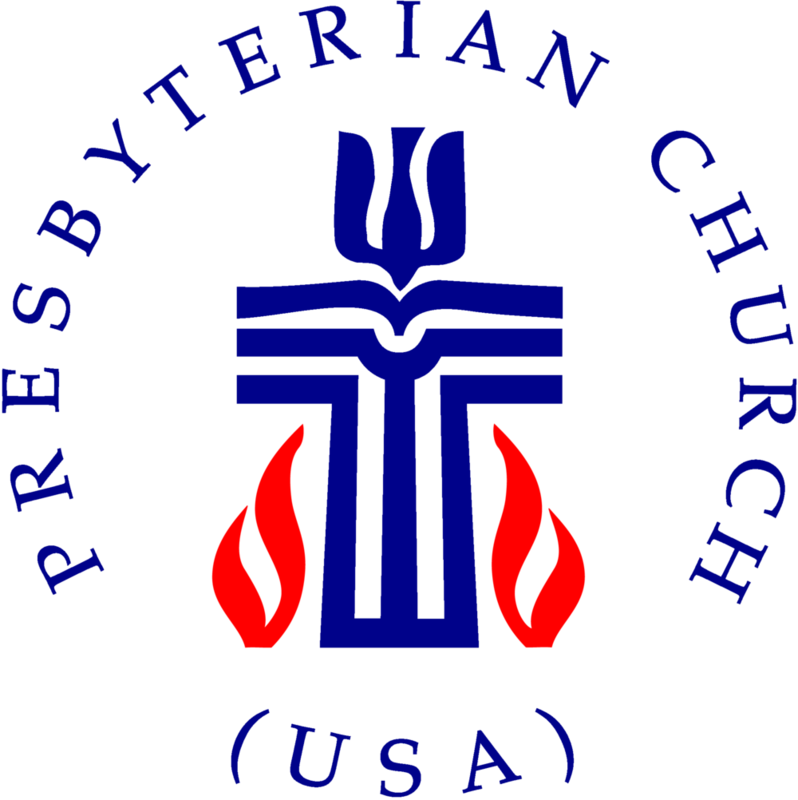 It’s easy to see University Presbyterian Church’s roots in the sanctuary, since the focal point is a cross hanging at the front of the mid-century chancel. The cross is made of two pieces of scrap lumber from the construction at nearby Trinity University, where services were first held. In 1952, O’Neil Ford, who designed the relocated Trinity University campus, also prepared an initial draft for the new church, named for its proximity to the campus. However, in 1954 San Antonio architect Milton A. Ryan completed the design for UPC – one of his two award-winning churches. Ryan was well known for his mid-century, modern residential architecture and in 1955 won an Honor Award for Non-residential Work from the Texas Society of Architects. 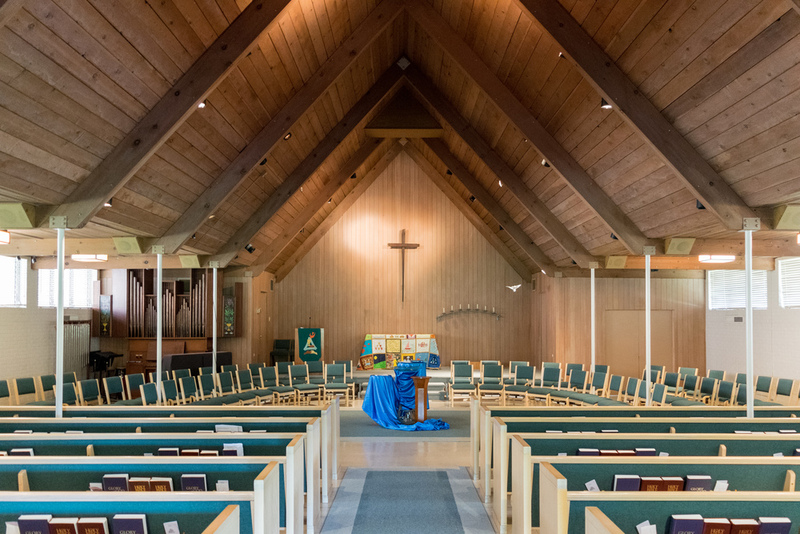 The sanctuary has a peaked roof common to mid-century modern churches. But instead of a typical A-frame structure where the roof bears directly on the ground, the building turns as it comes down from the peak – resting on slender steel columns and extending outward on either side. The result is a compelling spatial juxtaposition. UPC’s main organ rests on an upper loft behind the congregation seating. 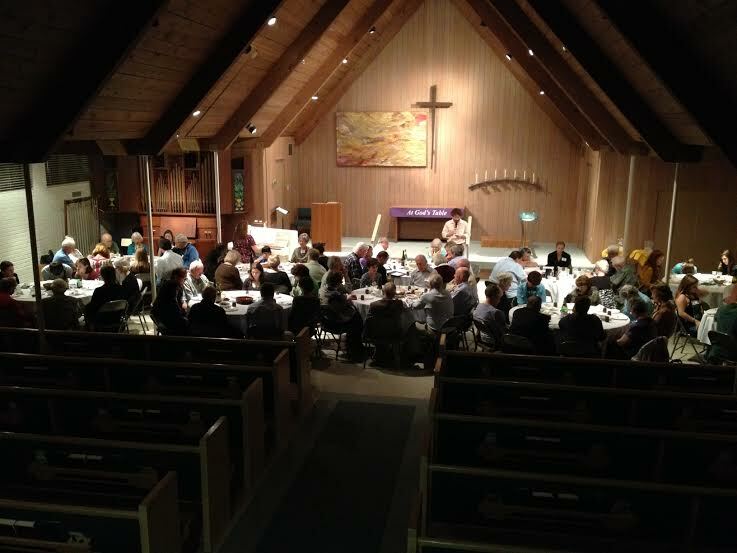 The sanctuary can seat approximately 400 people and can be reconfigured based on the needs of the service.